Boeing landed orders from El Al Israel Airlines Ltd and Australia’s Qantas Airways Ltd yesterday for its high-tech 787 Dreamliner worth more than $3.5 billion at list prices. All in all, 59 airlines and leasing companies have now ordered Boeing’s latest jetliner. After Qantas cancelled 35 orders for the stretched 787-9 model in 2012 amid financial losses, many questioned Qantas’ commitment to the 787. However, the Qantas order announced on Thursday including five 787-9 Dreamliners worth $1.3 billion, and conversion of three 787-8s from Jetstar into 787-9s, put that notion to rest. 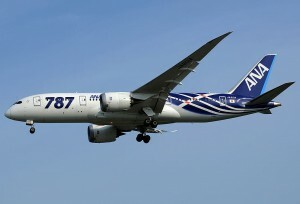 El Al remained an all-Boeing airline with its order of nine 787s, including three firm orders for 787-9s, valued at more than $2.2 billion.